Inflr is focused on creating digital marketing solutions using the latest technology for microinfluencers. We believe that all micro-influencers should have the opportunity to participate in an exchange that stimulates the creation of high-quality advertising content and allows digital influencers to be compensated for the true value of their influence. Inflr has created the first platform that connects advertisers to influencers within a marketplace using blockchain technology. With Inflr, advertisers can promote their products and services using the influence of social network users. Very commercial viable product. Extremely tough market to break through, but the use of transparent smart contracts between influencers on the platform and brands may be a game changer. The idea and product is amazing. Platform needs to connect with lots of influencers to make platform work. Also, they need to connect with lots of brands as well. Team and advisors looks like they will be able to meet the roadmap. Best of luck team!! Like how this is a platform connecting already existing social media accounts to optimize and democratize the process of influencer marketing versus others whom are trying to create new platforms. This enables greater access to the market. I would say the next phase would be to get infuencers on board which make prove slightly difficult as now many are managed by agencies unless there can be partnerships with agencies which would be interesting. A product that can quickly become indispensable to measure the performance of an influencer and determine its price. This project meets a growing market need, companies use several tools to measure this influence but lack relevance. Considering the growth of fake influencers that will bring nothing to your business, this tool seems pretty ingenious. I'm now looking forward to see how the team will develop the project and their network. Inflr (Short for "influencer") is an upcoming project aiming to launch an app that connects businesses to celebrities and digital influencers. 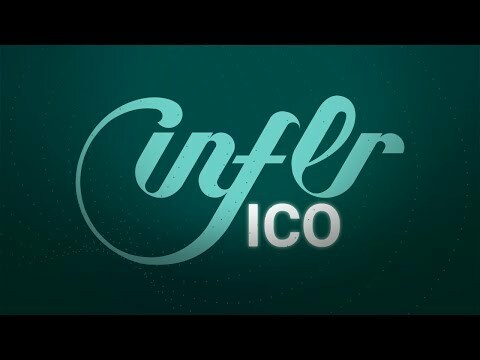 Inflr is trying to create digital marketing solutions using blockchain technology, where influencers may be compensated with the INFLR coin or other accepted currencies. At first glance the team seems very big, with some adequate experience in a vast variety of areas. However, all blockchain developers are from another company (OnePercent) and I am unsure how dedicated they are to the project. For the project to be succesful they will need to get enough influencers on board, however a lot of them are usually under contract with agencies and it remains to be seen whether Inflr can provide enough to get them on board. They are aiming to raise 25000 ETH for only 35% of the total tokens. This means they value themselves at almost 75k ETH ($20M+), which is a lot in my opinion. 10% of the total tokens is set aside for the founders, which is out of line with the % available for the market. According to the WP they aim to be a profitable platform by 2021, which is honest - but not very attractive for investors. The project is innovative, but heavily dependent on the amount of influencers they will be able to get on board. And thus I wouldn't contribute to the ICO, unless some big names or partnerships will be announced. Their are already some products related to this idea, this will be a tough market in many ways. But there is not any this type of product on the blockchain, token can increase the interest between the influencer and the advertisers. A study by Mediakix (whitepaper) shows that influencer marketing is the fastest growing category in advertising, projected to be a US$5-10 billion market by 2020. INFLR as a blockchain-based platform, will try to connect advertisers with influencers/celebrities. This idea is being developed as well by other ICOs at the moment. One of the main project challenges will be to find and convince influencers to join the platform, as most of them are already paid by regular agencies and big brands, and the lack of clarity or accuracy in influencers’ rates and values. I contacted Bruno Rodrigueiro, one of INFLR co-founders, asking for the whitepaper and quick and diligently, he answered me sending the requested info. (on Sunday). What is more, the same info. was requested via webchat, and Jessica, social media, answered as well. That makes me think the team is committed and ready to solve any question. 27 people are involved in the working group, team members and advisors, and 3 ambassadors Renato Albani, Vicenzo Richy and Patrick Maia (I’ve never heard about them….). Despite the MPV appears to be running, I couldn’t sign up. There is a geographical plan expansion for 5 years, with an increased investment in the platform, legal and marketing. According to the financial forecast the EBITDA will be negative till the fourth year, so be aware of the roadmap timeline in case you are planning to invest. I can't see the required business and marketing skills in this team. Whilst the algorithm for influence sounds OK in principle, it didn't work for Klout. The idea is not unique. There are several other players in market who have a working product and running business. The claim to being first platform simply reveals ignorance. Whitepaper is comprehensive and covers almost all aspects of business, which is good. Though I cannot find technical details of product being developed. GitHub is empty and therefore lacks on development side. Gone are the days, when ICOs were able to raise big bucks at ideation stage. Business model is good but use of blockchain for purpose is vague. Using buzz words like AI, Big data, Blockchain doesn't qualify for a Hardcap of 25k ether. Have you guys anticipated price of ether you intend to raise, during course of time. How do you justify such high marketing and infrastructure cost at 38 % and 43 %? Though whitepaper details about use of funds but still it seems higher to me. I would be happier to see more development on product side to anticipate seriousness of team in doing business. Tokenomics is fine but higher bonus and non vested tokens are always a problem for liquidity. This project needs adoption and well knitted customer base for successful growth cycle. I would like to wish team all the best! Disclaimer: This is an independent review on the ICO, and does not lead to investment advice. This is completely my personal opinion. Investors must perform their own due diligence and not rely on external ratings to make their final investment decisions. ICOs are risky and 100% loss of capital is possible. kindly do your own research before investment. Team looks good, but no personal check (1-to-1) done yet, even one of the team reached out to me. A team that combines the algorithms of social networks with the world of blockchain can only give birth to a very good project. Good luck! "Proof-of-Influence", the real difference of the project. Very innovative and disruptive idea, the concept is neatly put together through all of the available resources. More transparency could be used in publishing updated information about collected funds! The vision of the project seems very appealing especially from the influencer prospective. This could be a great platform for small to medium influencers across youtube, facebook, twitter and instagram to make money while following their passion. Inflr could allow the infuencer to get a higher % of money for their work compared to traditional advertising and will help them get in contact with companies and other people willing to marketing their own products. The whole idea of creating a currency for 'economy of influence' is pretty unique and the token economics looks very realistic. It looks like a quite a bit of work has gone into doing the market research and platform design. All the best. Financial modeller | Top ICO Advisor | Top Trader | Financial Analyst. Well committed and Highly skilled team. Great expertise in the marketing world they want to address. The vision of the project seems very appealing. Micro-influencing is the future of influencer marketing and the platform seems very promising and well thought both for influencers and companies. Coming from the world of digital marketing and advertising, the concept makes sense, the market is there, and with the eventual mass adoption of crypto, this could be a great way to bridge the gap between advertisers and creators. Having said that, it is not an original idea, but it has proven to be a repeatable and scalable business model. I would like to see more brand ambassadors brought on board to establish credibility, awareness and viability of the platform. Given the current state of digital advertising and the demand for influencer marketing, I can see that this project has potential to succeed. Excited to see developments as they continue to hit benchmarks. IINFLR was founded by three individuals of which none have previous blockchain or related crypto experience. They work together at Adaction a digital marketing agency. It is unsure how much time the three are going to be able to invest in INFLR, but it is not their only occupation. The team includes three legal experts of which one has experience in crypto and blockchain. Fabio Alves Moura, a former Diplomat and ICO advisor who is a member of several blockchain organizations and an ICO legal strategy expert. The other two, Francisco D'Avola and Pablo Nain seem out of place based on their previously irrelevant experience and neither of them has INFLR listed as one of their current projects. All of the team's blockchain developers come from an organization called OnePercent.io. OnePercent.io has not developed any successful or viable products yet, the only project they have listed is “Bierchain”(with the corresponding .io domain) cannot be considered a serious project. The founders are resorting to an unproven and questionable external development agency for the initial stages of the project. No internal core developers. None of the blockchain developers, nor Luciano Kalatalo the chief data scientist and Cassiano Psomas, their senior designer have INFLR listed as one of their current projects. Of the people that actually associate with the project on their social and LinkedIn presences, there are only Deborah Ramiris, the art director, Felipe Bolonhani, a senior back-end developer, and Jessica Tate a social media analyst. The team is advised by a pool of professional advisors whos experience transcends all necessary aspects of an ICO launch and strategy. This is positive. Hopefully, the experience compensates for the lack of full-time core team members. PowerLaunch, the “Launch Specialists” working with INFLR until the ICO have only had two successful ICOs of which only one has a decent record and rating. The vision and solution are not unique, there are several projects ahead of INFLR in their development like HOQU. I am not a fan of projects and companies presenting their solutions as the first or only one in the market. “Direct quote: Inflr has created the first platform that connects advertisers to influencers within a marketplace using blockchain technology.” This shows a certain lack of competitor awareness and market analysis. The benefits of the platform as stated by INFLR include the ability to “find the perfect influencers” and “pay for the real renown of influencers”. Any centralized platform that connects influencers with advertisers does this. Flipmass and PlugHype are two well-known examples. The real advantage would be to utilize a decentralized platform to drastically reduce the costs and intermediaries between the parties. NFLR charges the advertiser 30% in addition to a 10% fee for the influencer. The 30% fee is reduced to 10% when the native token is chosen as a means of payment. This is not competitive in the current influencer market. There are already companies out there charging 5% to each party with centralized solutions. The whitepaper can be found on google drive. The market research in the paper is adequate. Not extensive but sufficiently done. It completely lacks any competitor analysis which is no surprise because the team would’ve realized some of their major shortcomings within the platform if they would’ve compared themselves to other companies. The token distribution is clear and fair. The allocation makes sense and I appreciate that the team has offered four different budget allocation models dependent on the amount of money raised. This shows a certain awareness and strategic planning. The business strategy and expansion plans make sense and take the four different funding goals into account. Only two paragraphs are available on their marketing strategy, neither of which has any valuable information about how the team will pursue their marketing goals and planning. The financial projections are realistic and make sense. Props to the team as this is often blown completely out of proportion in crypto related projects. INFLR is projected to be in the red until 2020. 2021 is projected to be the first year of profit. The roadmap is basic but realistic. The team focuses on a slow and steady progression and expansion. I believe that INFLR will successfully fund in their ICO, but will not be able to contend in the incredibly competitive influencer, affiliate, and social media marketing space. The core team is inexperienced, but advised by a competent pool of professionals including Naviin Kapoor and Ismail Malik, both are ICOBench Top 10 experts and Giovanni Casagrande who is one of the ICOBench Top 20. The business plan is sound, but lacking an adequate marketing strategy. The solution that INFLR provides is not revolutionary and does not require blockchain. The token will have little utility besides access to the site and reduced fees for the advertisers. Development of new functionalities on Inflr.